Our INDUSTRIAL mattress is a great value specialty firm/super firm model. Designed around a 12.75-gauge coil spring set with molded spring protection on both sides of the coils. The thicker coils create a firmer base on the pillow-top and the firm side. 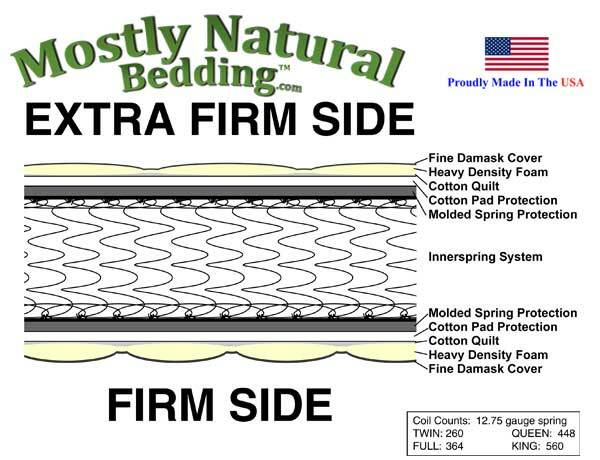 A cotton pad, and a layer of bonded cotton follow the molded spring protection. The needle-punched cotton pad lies under a 1-inch layer of special foam. Followed by a layer of poly foam. 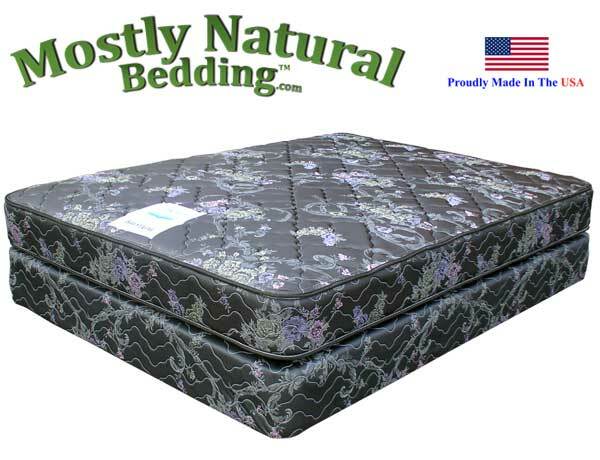 Finally the fine damask cover is quilted to create a specialty firm/super firm mattress. INDUSTRIAL Extra Firm/Firm mattress set. Queen size sets are available. Please choose mattress only or mattress set from the drop down menu above. Each set includes a mattress and box foundation. Dimensions: 8 1/2 inch thick mattress only. The set is 16 1/2 inches thick. This mattress is made from the strongest components in the industry. One side is a firm support system, while the other is an extra firm surface for those needing the ultimate in support. This mattress can take any punishment and will last. 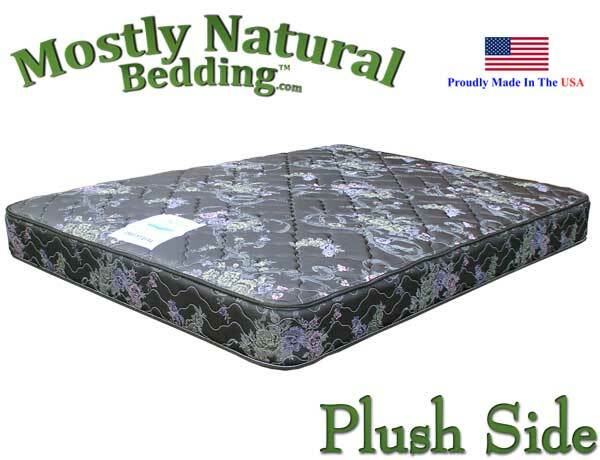 This INDUSTRIAL mattress incorporates our amazing plush feel on one side and firmer feel on the other side. Want a different feel? Just flip the mattress. An idea whose time has come, especially when you consider the poor value that a one sided "no flip" mattress offers. The INDUSTRIAL model sold here offers low price with plush but supportive feel and a firmer feel with tighter quilting on the other side. 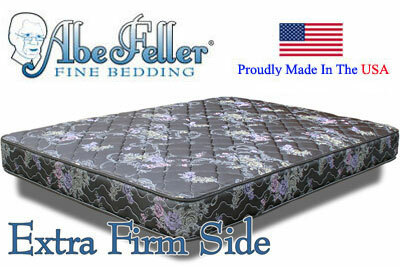 Queen Size Abe Feller® Industrial available as a mattress set or as just the mattress.